Owners of the Apple Watch will be able to take part in the Apple Watch Activity Challenge on Thanksgiving day itself. Just like last year, participants up for the challenge have to record a distance of at least 5 kilometers (3.1 miles) in a walking, running, or wheelchair workout. The distance can be recorded using the Apple Workout app, as well as any other third-party app that stores workout data in the Health database. Those who manage to go the distance will gain themselves a badge in the list of achievements within the Activity app, as well as a special Messages app sticker. Brave enough to face the cold air for a post-turkey run? Runtastic allows you to keep track of when, where, and how far you run in each workout, providing feedback on your speed, elevation, calorie burn, and other statistics. 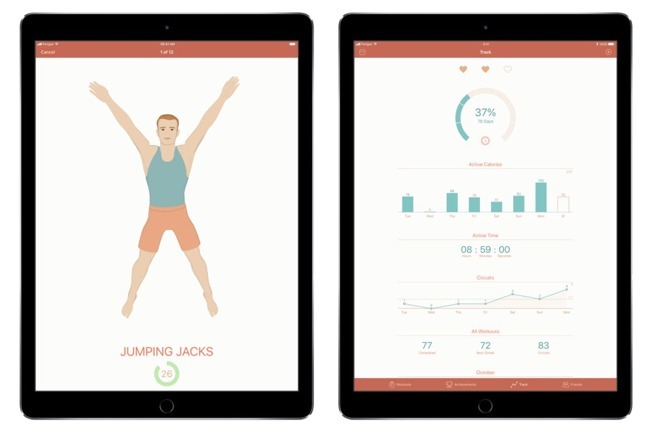 Able to integrate with Apple Health, the app also includes Apple Watch support, so you can start a workout, see notifications, and read real-time activity data right on your wrist. 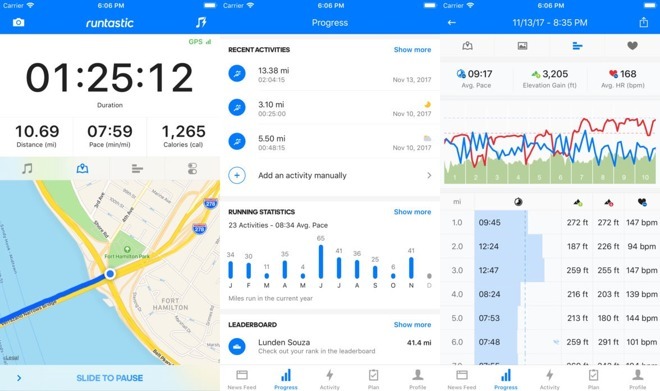 The tracking allows Runtastic to provide a "Real Voice Coach," which will offer audio feedback on your first mile, while the Live Tracking and Cheering will let friends send messages to you as encouragement for your next run. Lastly, its integrated music player will allow you to to nominate a "Powersong," which can be used to give you a boost when you're starting to flag mid run. If you feel the run is going to be a bit boring, consider Zombies, Run! By Six to Start. 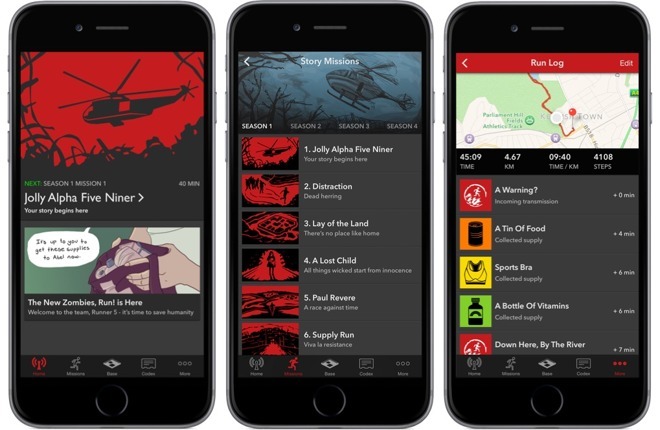 Not your usual fitness app, the running game and audio adventure will pit players against zombie hordes, playing the story to the runner as they jog along, before prompting you to run faster with the sounds of the undead on your tail. Over 260 story missions are available, unlockable by paid memberships along with interval training and "Airdrop" modes, though new users will be able to play the first four missions for free, and to unlock one extra mission every week. For the more adventurous, there's also a Zombies, Run! 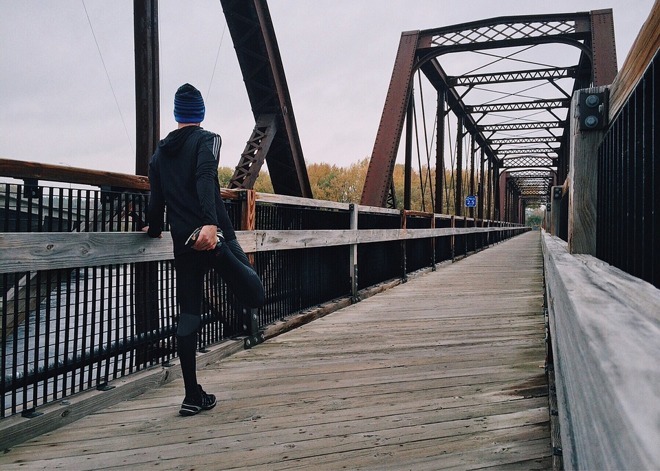 5k Training version, which puts players through an eight-week training program that will get users ready for long-distance running by it's end. Would you rather stay indoors where it's warm? Seven - 7 Minute Workout will help you work up a sweat without leaving the house. The App Store's Apple Watch App of the Year for 2016 in a number of countries will put you through a variety of workouts, but as the name suggests, the workout routine will only take 7 minutes of your time, making it highly useful for those unwilling to work out for longer periods. Offering achievements and the ability to compete against friends, Seven also provides workouts that are tailored to the user's needs, including if they want to lose weight or to increase strength. There are also a variety of instructors available, such as the drill sergeant and the cheerleader, to make the workouts more fun.